Juan Figueroa, DDS, is a board-certified general dentist at Dental Care of Deerfield Beach in Florida. He graduated from the Univeristy of California, San Francisco and has been practicing in the area for more than 14 years. He combines his knowledge and years of experience to provide every person with the highest quality of dental care. His specialties include dental implants, Invisalign, smile design (veneers), and cosmetic and general dentistry. 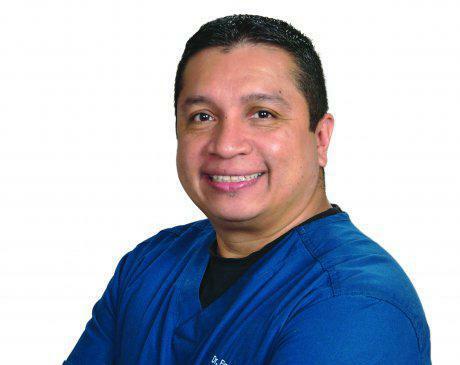 Dr. Figueroa continues to improve his knowledge of dentistry as he’s consistently learning about the latest dental techniques and technologies to help his patients develop a million-dollar smile. From the moment you walk into Dental Care of Deerfield Beach, Dr. Figueroa makes a conscious effort to always respect your time while you're at your appointment. He explains your dental conditions and treatments along with taking time to answer all of your questions. Because of Dr. Figueroa’s personable and kind nature, he has outstanding online reviews from all of his patients. Stop by Dental Care of Deerfield Beach today to see one of the most skilled and dedicated dentists in South Florida, Dr. Figueroa.